The month of July is just around the corner, and we all know what that means: summer is officially here. It’s a great time to vacation with family and friends, and spend time outside, basking in nature’s beauty. But for those in Jewish faith, we have a reason to celebrate at the end of July; an occasion to show our loved ones how much they really mean to us. Yes, you guessed it correctly: Tu B’Av is coming up! This year, Tu B’Av, known as the Jewish Valentine’s Day, falls on Thursday, July 26th and lasts until the next day, Friday, July 27th. Tu B’Av has quite an interesting past that many people are unaware of. Most scholars actually do not know how long the holiday has been celebrated for, but many point to the matchmaking day for unmarried women during the Second Temple period as its start. The first mention of the holiday is in the second-century Mishnah, where Rabban Shimon ben Gamliel is quoted as calling Tu B’Av one of the two happiest days in the year; the other being Yom Kippur! In modern times, Tu B’Av has had seen more secular recognition, than institutional. It’s not a legal holiday, nor does the Israeli rabbinate include any specific liturgy or rites for the day. But outside of the synagogue, those of the Jewish faith rejoice. In Israel, the nights are filled with dancing and merriment, and in America, its celebration largely resembles the traditional Valentine’s Day, with messages of love and romance shown to loved ones. 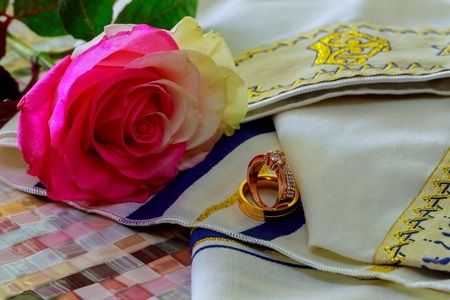 It’s yet another reason for those married in the Jewish faith, or on the path towards it, to celebrate each other’s presence. Although it’s often overlooked, Tu B’Av is worth remembering this year, as we settle into summer. For any questions or concerns regarding the Tu B’Av holiday, contact Rabbi Richard Polirer today! Questions about another Jewish holiday, practice, idea, or otherwise? Visit Rabbi Richard Polirer’s Ask the Rabbi page.